Last week, Amazing Grace Food Pantry provided groceries to 134 Collin and Dallas county families… that’s 555 people that won’t have to worry about their next meal for a week! Thank You to the dedicated team of volunteers who buzz around to support and Fight Hunger Together by picking up donations, unloading and stocking food, help with the new building project and serve the families in need with a warm smile and extra care. 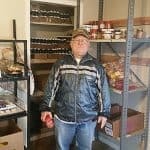 Every day we hear from our clients who appreciate the friendly atmosphere and the variety of nutritious food available at Amazing Grace Food Pantry. This is all made possible by YOU, the community. Everyone shares a part: monthly recurring donations, scheduling to volunteer and arranging a tour by calling (972) 292-7241 to better understand the need. THANK YOU Gateway Church for your food drive donation! 250lbs of canned goods will go a long way in the Fight Against Hunger this week!